If you’ve been into the salon in the last couple of months, you may have noticed a new display. We’re carrying a new line of products called Zenagen. Zenagen’s products work to reverse hair loss and allow the scalp to grow healthier, thicker, and fuller hair. This line consists of three Treatment Shampoos, two Conditioners, and four Styling Products. The line was designed by Jared Reynolds, a Biochemist and a Molecular Biologist. He first started his research into solutions to hair loss as a medical student when his own hair started to shed and thin. Here at MAC, we know there are a lot of products for hair loss on the market. We’re just as skeptical as the next person when a new one emerges. So, we did our own 3-month trials with some clients here in the salon. As you can see, we’ve had some impressive results! We can’t guarantee this line will work for everyone. However, if you’re struggling with hair loss and have tried other products to no avail, we think Zenagen is worth a try. If you’d like to take a look at the before and after’s on Zenagen’s website, follow this link. The Revolve Line includes a Men’s Shampoo, a Women’s Shampoo, and a Universal Conditioner. The Zenagen line has two different treatment lines that target different clients with different problem. The Evolve line should be used by those with heat or chemically damaged hair, as well as those who want to grow longer hair. The Evolve line works by increasing hair follicle turnover, this means 40% faster hair growth for the user! It also lengthens the Anagen growth phase, which results in not only faster growth, but longer hair. To read about how the treatment allows for longer hair growth, you can click here. The Shampoo and Conditioner of the Evolve are both Universal. Both the Revolve and Evolve lines have similar use instructions. The Treatment Shampoo should be lathers on the scalp and worker though the ends; then left to set for 5 full minutes before rinsing with warm water. The Conditioner should be applied after and can be applied directly to the scalp. It doesn’t have to be left on as long. While the Conditioner doesn’t have to be used together with the Treatment Shampoo, it will increase results by 20%! Both lines recommend using the Treatment every other day (or three times per week) for optimal results. All products are pH balanced, vegan, cruelty free, color safe, and gluten free. They contain no minoxidil, no parabens, and are SLS free. Comment below and let us know what hair loss products you’ve tried in the past and how they worked for you! Vivienne MacKinder demonstrating an ironing technique for the team. For the last year, the team here at MAC Hair Studio has been embarking on a journey to hone their skills. The beauty industry is ever changing, and trends come and go. With the guiding’s of international hair artist Vivienne MacKinder, the team has worked hard and accomplished so much. Last October, Vivienne was our guest in shop to work with our team and other stylists in the Jacksonville area. This April, our team went to her. They flew to the Hamptons for a two-day intensive course in hair cutting and dresswork. The MAC Hair Studio Team poses with their completed mannequins. Through working with Vivienne, the team has learned how taking three vital key factors into consideration can change the way they cut their clients’ hair. These factors are versatility, fashionability, and the lifestyle of their individual clients. In a recent blog post you can read here, I explained how versatility can allow your hair to match your mood and change with your daily style. Here at MAC our stylists are committed to creating a hairstyle that will complement the rest of your look and your personality. Some other factors that can come into play when you are evaluating your current style or looking to change it up are your face shape and body type. These can impact the types of styles that will complement your features the most. By taking all these factors into account, your stylist can best create a look for you that will compliment YOU! We feel blessed that we’ve had three years with Sherrie Ralph as our esthetician and spa specialist. 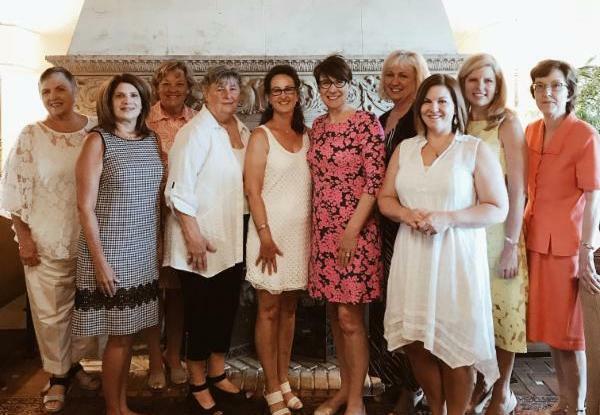 Although we’re sad to see her go, we gathered with a few of her closest clients for a send-off luncheon to wish her a happy retirement. Our very own Amber Stephens will continue our spa services. Sherrie and Amber have been working together during this transition. In order for our clients to become familiar with Amber, we’re offering 20% off all spa services through Thanksgiving. Visit our website for a complete list of our Spa services. In the City That Never Sleeps…neither did we! 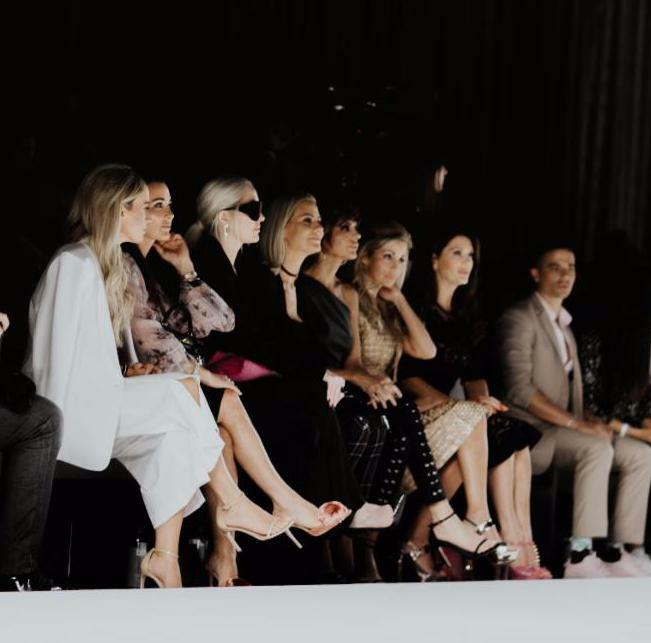 This year’s NYFW was a family affair with MAC Hair Studio owner, Margaret, her daughter Lyndsey and son Colin by her side. 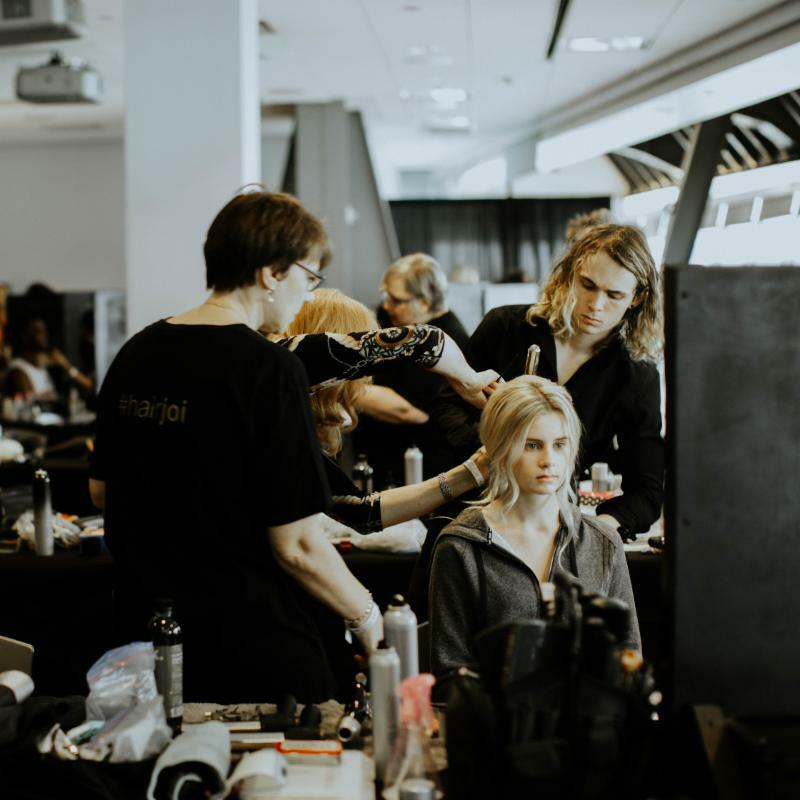 Colin and Margaret had the opportunity to work backstage as part of the Vivienne Mackinder team creating the looks for the Malan Bretan show. This is Margaret’s second year working NYFW at Vivienne Mackinder’s side. Mackinder is one of the most highly respected international leaders and innovators in the hairdressing profession today. 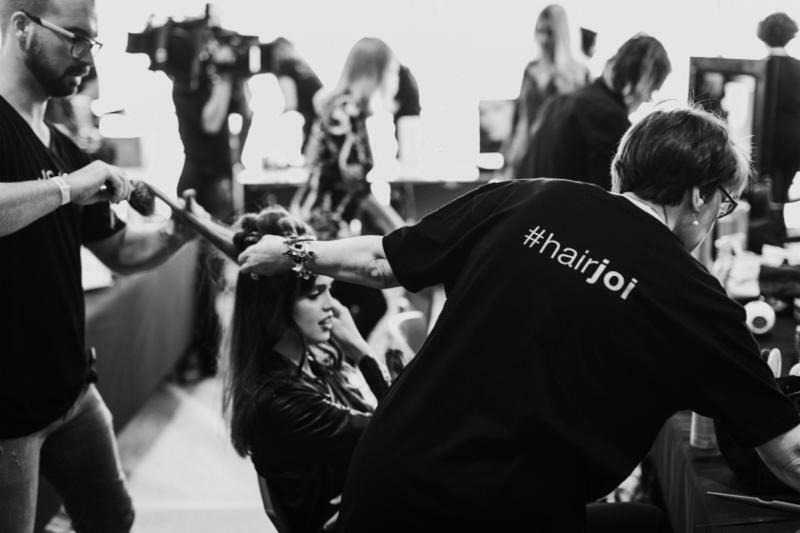 Lyndsey spent NYFW behind the lens, capturing the moments backstage and on the runway. 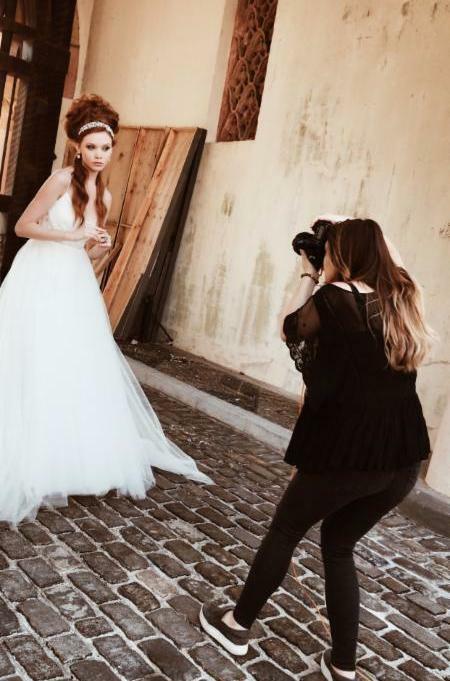 Together, Lyndsey and Vivienne Mackinder held an editorial photoshoot showcasing eight different bridal looks at the Vanderbilt mansion in the Hamptons. They paired different hairstyles with bridal gowns to create the perfect look from Boho Bride to Fairy-Tale, and even Classic Beauty. We hope to release info about these images being published soon! No visit to New York is complete without a celebrity spotting. Lyndsey snagged a picture with Lisa Vanderpump from Bravo’s The Real Housewives of Beverly Hills. The rest of the Real Housewives crew was there too, right next to the catwalk. Write her a card expressing how much she means to you. At the end, tell her that her Christmas present is a full day spent just the two of you. Prepare breakfast for her in the morning. Take her to the movies, go putt-putting, take a walk, ride bikes, go to an arcade or bowling. At night, take her to her favorite restaurant (don’t forget to make reservations!) Make sure you buy her favorite flowers. She will be thrilled to spend a whole day with you. Your gift will be her expression when she reads what you have planned! Change is an inevitable part of life. With change comes aging skin and different types of acne. When it comes to age and your skin, you may experience a plethora of ongoing changes: new expression lines, a loss in skin elasticity and those breakouts that you assumed you left behind in your teen years. As we age, estrogen levels drop and testosterone levels begin to rise. This hormonal imbalance results in an increase in oil gland production in the skin which can clog pores and cause breakouts. Want to look great without using a ton of make-up? Want to make your eyes POP without having to worry about the hassle of eyeliner or mascara? Casey Himes, at MAC Hair Studio, has got your solution! –Lash and brow tinting. 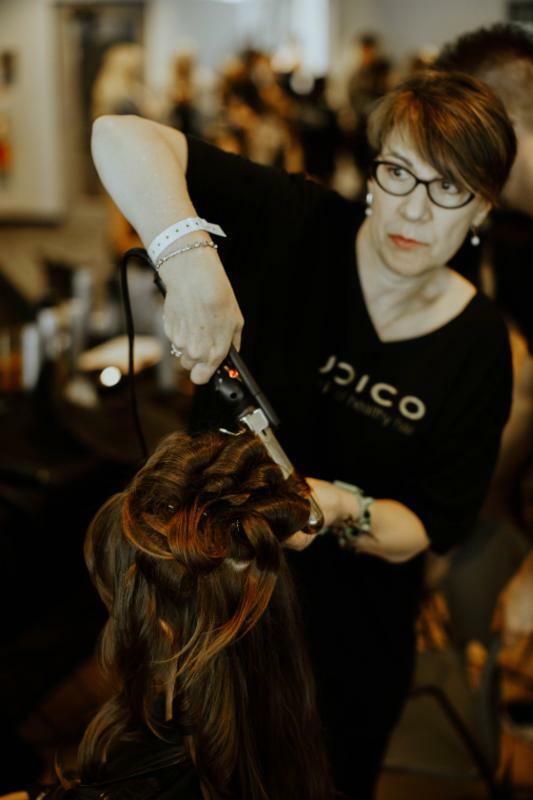 Whether you are a Jacksonville native or you are visiting from out of town and are looking for Salons in Jacksonville, Florida, you need not look further than Mac Hair Salon located off Hendrix Ave. in historic San Marco.